Design in service of broader social issues. The world around us is largely shaped by design—the products, services, infrastructures, systems and narratives that form our experience are all designed. At Smith College, we question gender, race, ethnicity, power and ability as dynamics that shape who gets to participate in creating the world we live in. Students become critically engaged with the processes shaping our reality. This weeklong professional development opportunity will introduce teams to processes, tools and methodologies for making positive change within home units or across multiple units. As a cohort, partners will continue to convene for monthly lunch meetings to share progress, successes and challenges. The Design Thinking Advisory Board invites the collaboratively curious to experiment with a twist on co-teaching for this coming fall. The Co-Teaching Fellowship aims to promote and support cross-disciplinary curricular experimentation through co-teaching. We hope to lower the barriers for entering this type of collaboration. 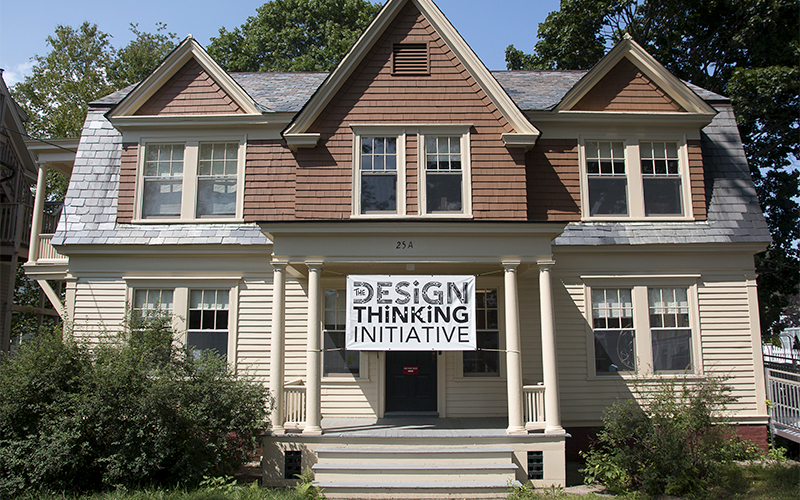 The Design Thinking Initiative is housed in Capen Annex, a space designed and dedicated to hands-on creativity and experimentation. Participants engage in group work, high- and low-tech prototyping, and collaborative idea generation. The Conway Center is a hub where students receive the tools to think expansively and develop innovative solutions to pressing problems. The Wurtele Center for Leadership provides hands-on learning experiences and training in practical leadership skills. The Center for Design and Fabrication has machining, welding and fabrication, woodworking and rapid prototyping capabilities.